ZO® Skin Health, Inc, was founded by Dr. Obagi in 2007. ZO® was created to provide physicians and patients with the world’s most innovative and effective skin health solutions. As medical director of ZO® Skin Health, Dr. Obagi has created products with technologically advanced ingredients and even more effective formulations. These products are placed into two categories: ZO® Skin Health and ZO® Medical. ZO® Skin Health products maintain the results of therapeutic treatments and provide effective daily skincare and protection from the environment, while ZO® Medical products have been optimized to treat a range of skin disorders and chronic conditions. Dr. Obagi’s philosophy is to create and maintain healthy skin for life – for all patients. ZO® products are formulated & developed to do just that. Guided by Dr. Zein Obagi, a practicing dermatologist, ZO®’s product development team is constantly reviewing market trends, sourcing new ingredients and formulating products that will provide our patients with visible results. 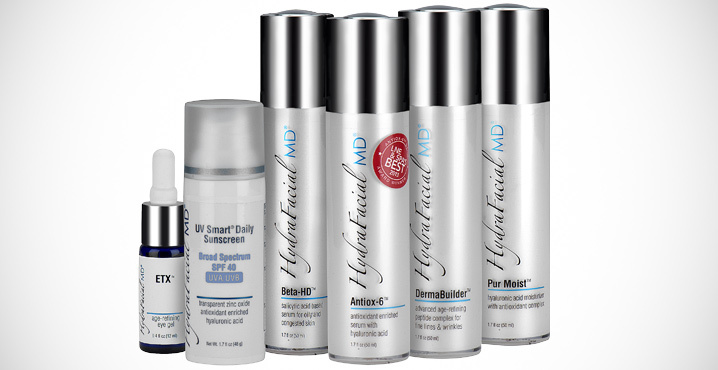 The HydraFacial® Daily Essentials™ can provide you with detoxification, rejuvenation, and protection while targeting your specific skin concerns. The HydraFacial® Daily Essentials™ are an extension of the treatment, maintaining and enhancing results between procedures. Each product is formulated with the same performing ingredients found in each in-office treatment. Together, they are essential for achieving healthy skin. 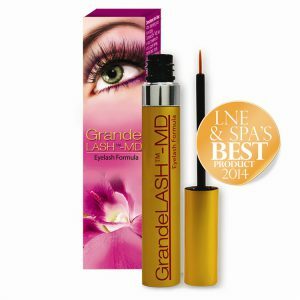 GrandeLASH™-MD is an eyelash enhancing serum designed to foster growth of thicker and fuller lashes. Composed of a blend of amino acids, vitamins, and antioxidants, the award-winning conditioning solution can be used to lengthen short lashes, boost the appearance of soft lashes, and/or restore eyelashes that are brittle or damaged. GrandeLASH™-MD has a very straightforward application process. Simply administer the serum to the upper lashes in a similar fashion as you would liquid eyeliner. Applied nightly, GrandeLASH™-MD has been proven to achieve noticeably thicker lashes in four to six weeks, with full results realized in three months. For more information on the state-of-the-art skin care lines and beauty products offered by Dr. Joe, or to schedule a consultation, please contact our practice today.